Speaking in the House of Assembly on Friday, Minister of Transport and Regulatory Affairs Walter Roban provided an overview on the status of the Transport Green Paper initiative to gather feedback on the future of transportation in Bermuda. “The vision created for the 2018 Transport Green Paper is to invite public comment and discussion on the future of transportation in Bermuda, with a view to identifying and modernizing transportation efficiencies and developing policies that are realistic, fiscally prudent, and which enhance transportation safety and experiences for all,” Minister Roban said. “Some initial findings indicate something of a general consensus around issues such as: having funding to upgrade our aging transportation fleets and invest in new transport technologies such as digital tickets; increasing enforcement of existing legislation as it relates to road traffic management; providing inputs that allow for trip planning ‘Apps’; and, focusing on safe spaces for walking and cycling. 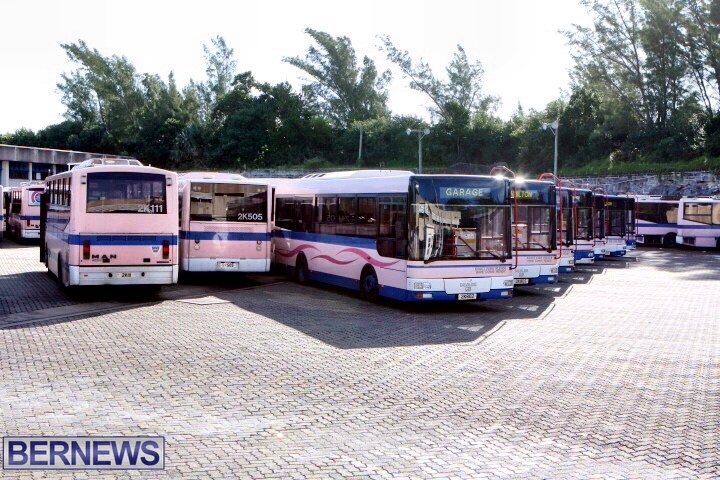 “The surveys will include a broad range of categories and include topical matters addressing safety on our roads, modernizing Bermuda’s aging public bus and ferry fleet, the enforcement of existing legislation pertaining to taxis, minibuses, speeding, dangerous and drunk driving, bad parking and oversized vehicles. There will be several options for the public to participate in the surveys; online, at public libraries and Post Offices or submit a written submission by e-mail or by post. Mr. Speaker, the Ministry of Transport and Regulatory Affairs would like to share with this Honourable House the status of the Transport Green Paper, a Throne Speech initiative on the future of transportation in Bermuda. A Green Paper is an official document sponsored by Cabinet to invite public comment and discussion on issues prior to policy formulation and is the first stage of developing new laws or updating existing legislation. Mr. Speaker, the vision created for the 2018 Transport Green Paper is to invite public comment and discussion on the future of transportation in Bermuda, with a view to identifying and modernizing transportation efficiencies and developing policies that are realistic, fiscally prudent, and which enhance transportation safety and experiences for all. A project of this magnitude has not been undertaken since 1999 when the Ministry of Transport embarked on a comprehensive transportation planning initiative with a Transportation Planning Team formed for the purpose. The end result was ‘The National Transportation Management Report’ dated January 2, 2002. Mr. Speaker, the Ministry of Transport and Regulatory Affairs created a five-phase action plan to invite the community to contribute their thoughts, knowledge and recommendations on important transportation issues but not just for able-bodied persons. Let us not forget our seniors and persons with differently-abled needs. The process has so far included the consultation with more than 50 on-island and overseas stakeholders documenting their present concerns and identifying what they envision for the future. Mr Speaker, some initial findings indicate something of a general consensus around issues such as: having funding to upgrade our aging transportation fleets and invest in new transport technologies such as digital tickets; increasing enforcement of existing legislation as it relates to road traffic management; providing inputs that allow for trip planning ‘Apps’; and, focusing on safe spaces for walking and cycling. Mr. Speaker, a social media campaign and two  surveys will be launched shortly, one for school students, who are our future leaders of Bermuda and one for all members of the general public. After tabulating the survey results on or around April 23rd, the Ministry will conduct a World Café, similar to a stakeholder roundtable, to discuss the findings of the surveys. The plan is to identify realistic and fiscally prudent recommendations that will be presented to Cabinet. The publication of the Transport Green Paper is to include forward thinking solutions and will be published in early June. Mr. Speaker, there will be several options for the public to participate in the surveys on-line, at public libraries and Post Offices or submit a written submission by e-mail to transportgreenpaper@gov.bm or by post to: the Transport Green Paper Throne Speech Initiative, Ministry of Transport & Regulatory Affairs, TCD Building, Second Floor. Mr. Speaker, the surveys will include a broad range of categories and include topical matters addressing safety on our roads, modernizing Bermuda’s aging public bus and ferry fleet, the enforcement of existing legislation pertaining to taxis, minibuses, speeding, dangerous and drunk driving, bad parking and oversized vehicles. Also, the Ministry of Transport will address strategies regarding electric and hybrid vehicles, minicar and motor cycle rentals, active transport, entrepreneurial opportunities, cruise ships, airport and port development. In closing Mr. Speaker, we encourage everyone to be involved and have their voice heard. Transportation is for all of us and the Ministry is open to all innovative ideas. I guess more wasted money. Are we back to planning a plan to plan a plan whilst pretending to listen to the public. We do not have the money to undertake revamping the transport system. What we need is to manage the system we have efficiently and effectively. Monorail would be nice, so would underground systems and connecting bridges, but they are not feasible. He can’t even implement a bus timetable that works. This minister is a complete waste of space…get rid of ASAP. Couldn’t agree more, waste of time. The guy can’t organize a bus route and has going to plan the future of transportation. They all had a lot to say leading up to election, now there just expanding there waist lines. I’m wondering if this so-called conversation is the opening gambit to put transport services in private hands. Hopefully past experience and good intentions will prevail and the whole process will be transparent and in the best interests of users – and (it must be said)that the older generation responsible for scandals such as Bermuda Housing Corp, Dockyard Cruise Docks, TCD Emmissions, etc will keep their mucky paws off. Scandals? We are still dealing with the “Scandal” of discrimination, wage disparities, housing disparities, and the list goes on…. Something the former Government paid zero attention too, not to mention the Generational wealth Gap created from past injustices, so unless you are out fighting for equality in EVERY form, let’s not cherry pick. I’d really love to earn what the gov’t ministers get not to mention their pension . I’d love to live in Tucker’s Town or Point Shares too . Am I being discriminated against ? Disparities you know ! What can I do about them ? Please tell . Have I been subject to these past injustices too ? Yes. If we’re trying to put right the ‘scandal’ of wage disparities, then perhaps we should all be paid the same as the Premier. As mixitup himself says, let’s not cherry pick. I was reading and checked out the employment hustles – Gowernment was adwertising for trainee Customs Officers, pay scale between $59,000.00 and $62,000.00. Upon successful completion to full time Customs Officer, this went up to $72,000.00. No wonder Government is in debt up to its eyeballs. In the private sector, university graduates with business degrees and graduate accountants are entering industry at salaries well below these. And if I am not mistaken, school teachers, nurses and even resident doctors earn less. Something is wrong in the State of Denmark. Since Bob did not have the testicular fortitude to do it, may Burt will – 20% Civil Service pay cut effective immediately. We’ll be out of debt in no time. Agreed, which is why I voted PLP. And it will be a more just society; and a lot faster once all those old, crooked schemers are sent packing. Yes I’d like to have as much money as dreb. Perhaps he will give me half his money to even things up. That would be fair. I think we need to look at the rental car situation. I’m my opinion the Twizzies are a bad idea. I’m all for renting cars but the Twizzy has accomplished nothing. Why not rent the tourist’s a ‘A’ Class car? Its the same footprint as a Twizzy, you can fit your kids in the back, you can go shopping, carry golf clubs, wind the windows up, fill up at any gas station, leave your valuables locked away, all for pretty much the same dimensions as a Twizzy. Lets get more families to the Island. Now a family of 4 has to rent 2 Twizzys and have to put up with all the issues that come along with them. Please, let them rent a ‘A’ Class automatic. It makes so much more sense. Good idea. Another great oligarch opportunity as long as Mr. Hertz and pals are kept out. Or this could be one of those opportunities to right past injustices. This would be altogether too sensible. No politician would ever agree to anything like this. It would solve far too many problems. i don’t mind the twizzies. and let’s not forget, we need to give tourists A CHOICE! so yes a class A also but don’t get one and toss out the other. have both. Yes, but don’t you know that anything done by the previous government during that best-ever tourism year is automatically ‘bad’? So Burt is thinking about what the rest of us might do for transport now that they have taken care of buying themselves new GP cars. Bicycle lanes and encouraging more people to cycle to work and school would be a great way to improve transport and health. Maybe even cycles for rent at convenient spots around the island, like they do in NY and some European cities and towns. Oh that cycling is such a great idea . Especially in the summer when the temp is 85+ and the humidity is over 80%. Just about as realistic as re-introducing the train or a monorail . Ever heard of electric bikes? lots of folks cycle and more people would if they weren’t intimidated by the appalling driving behaviour on the Island. Folks should give them room, it helps keep the sky high obesity rates down that affect the bottom line of everybody’s insurance. Bicycle lanes are a great idea except there’s virtually nowhere to implement them. Allowing locals to have one regular vehicle and one electric mini car would be a good step. Linking parking tickets to TCD so you cannot license the vehicle if there are unpaid tickets would raise revenue at little cost. Go a stage further and also link unpaid child support. Keep garbage collection to once a week, at least it works and takes pressure off the vehicles and collectors. Get a new bus schedule, linked to the ferry schedule, and have smaller buses on when there are less passengers. Less cost and less maintenance pressures on the large buses. Oversize vehicles? It was the PLP that passed legislation to allow them. There we have it. The crowd that said they had a plan, had all the answers back in July, really don’t have a clue. They want the public to come up with ideas. From there many committees will be formed & much talk over a very long period will happen. At the end of that another committee within the PLP will be formed, more talk, talk, talk & we will be back to the same old same old. The PLP will not upset their base, the Civil Service. I notice he wants to enhance safety for all…..therefore he needs to introduce mandatory alcohol and drug testing of drivers. That is safer for passengers, other road users and the drivers. It would also make us safer if there were mandatory drug testing of political candidates, MPs and Senators. What about a electric bullet train? A road tunnel or a bridge to Dockyard. An interchange at Crow Lane. A heliport in Hamilton. Hydrofoil ferrys. Any other wild ideas totally unsuitable for Bermuda? How about keeping it simple by getting production busses instead of custom busses & faster, but not high speed, ferrys from a builder much closer to Bermuda? Cable cars, and a ferris wheel on front street. That is all the whole bunch of them can do is form committee,s They do not have a clue how to run this country. The whole lot of them need to step down with there dumb selves. Remember this history will repeat itself and we will be in more debt than we are now. Burt and crew get steppin. Bunch of jokers all of you. Bring the standard Gauge railway back!! Diesel fumes are a proven killer. Have you seen the belching black toxic fumes that come out of the back end of local buses, trucks, vans? Well its going into your lungs, its settling on your roofs and filling your kids full of cancerous compounds. How do these vehicles pass muster at TCD? You can’t even begin to have a fiscally prudent approach without rewriting a cba and bus routes. Hahaha they only want the publics input because they have no ideas themselves snd no idea what to do! 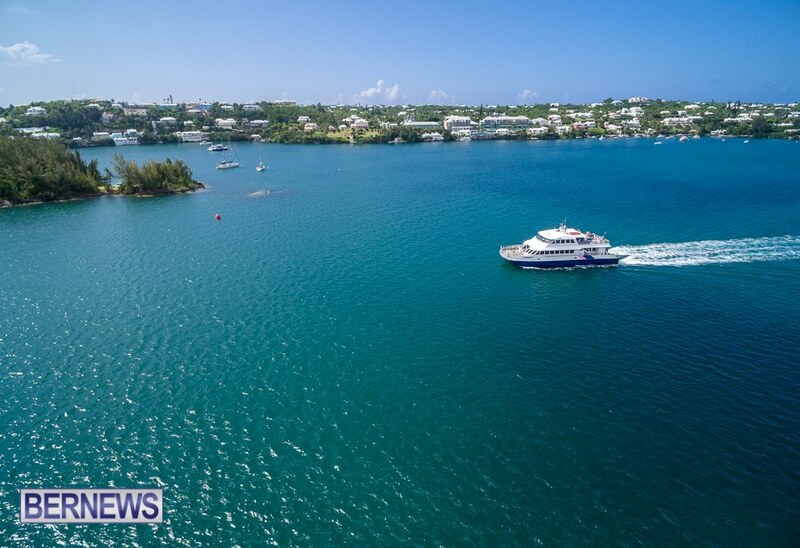 ‘Future of transportation in Bermuda’ easy solution. get it outta the gov hands.